You get to pick the floor plan and options that work for you. Whether a tract home or semi-custom, you make the choices as to layout and finishes. Of course the best way to get the exact home you want is to design a custom home. Older homes can have inefficient heating, cooling, insulation, and appliances. New homes incorporate energy efficient features that can result in significantly lower utility bills. If your new home is part of a planned community, you can take advantage of amenities like swimming pools, fitness centers, tennis, golf and other recreational activities. Usually you will have less immediate maintenance and repair issues compared to what might crop up in an existing home. You can enjoy your new home the day you move in, without having to complete projects needed to make it acceptable to live in. Don’t forget that warranty that comes with new build and is not afforded with resale. Typically 10 years on structural with stipulations. Completely one of the most valuable benefits. Not to mention all the latest and greatest technology! Good point Mari. 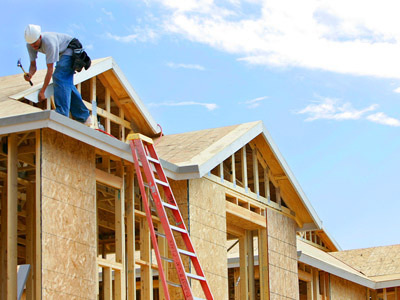 Builders give express warranties that vary in length, and the register of contractors has jurisdiction for 2 years from completion – protections unavailable in resale transactions.